Old School Wednesdays presents an epic reread of The Harry Potter series by J.K. Rowling. 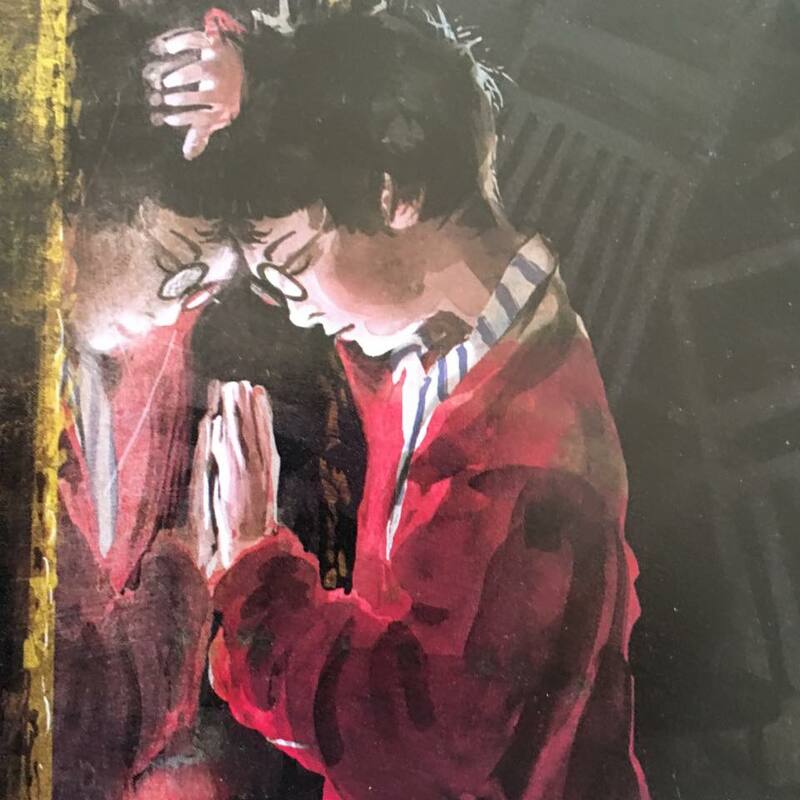 THIS MONTH ON THE RE-READ: we rediscover young Harry Potter as he finds his way to Hogwarts for the very first time in Harry Potter and the Sorcerer’s Stone. This time, on our Old School Wednesday journey, we kick-start a new feature for the first half (ok, two-thirds) of 2016–The Epic Harry Potter Re-Read with our joint review of the first book! It’s hard not to start this review with one of the classic Official Introduction to My Harry Potter Story. So here is mine: I didn’t grow up reading Harry Potter because I was already a grown-up by the time the books arrived in Brazil and were translated in Portuguese. I started them in 2001 – I was 25 years old and at that point the first four books were available – I read them in quick succession and fell in love. I have always been a fan of kids’ books and this hasn’t changed just because I am An Adult: good stories are good stories are good stories. This is true now and it was true then. 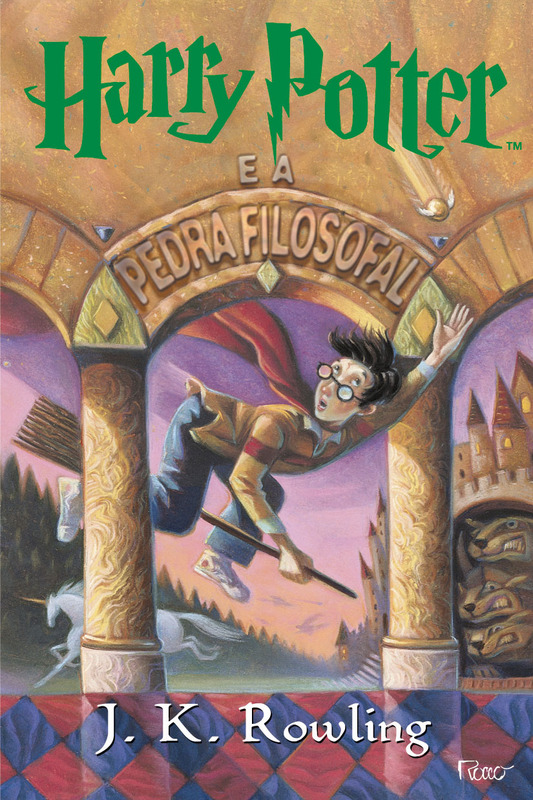 The first Harry Potter book I read in English was Harry Potter and the Order of the Phoenix simply because I could NOT wait the six months that it was going to take between UK publication and the Brazilian release so I got an imported copy. I still remember how painful it was to pay that much money for the book – and I also still remember the confusion when I started reading. Like, WHO the HELL are James and Lilly? (Harry’s parents in Brazil are called Tiago and Lilian). But beyond that, it felt great to be a part of what the entire world was doing, at the same time that it was happening. The last two books came out when I was already living in England. I waited anxiously for Amazon to drop my copy of Harry Potter and the Deathly Hallows by the door and when it arrived at 8am, I sat down and didn’t come out for air until it was all done and I had cried so much I actually NEEDED water to rehydrate. I didn’t grow up with Harry Potter. But Harry Potter was right there in 2001 when I was having a Hard Time. It was right there when I needed a good story. It was right there when I moved to England and started a new life. It was right there to show me that good characters exist in any category of books – and that good stories live forever. So, this re-read? It’s not only the first time I am re-reading Harry Potter and the Philosopher’s Stone but also the first time I read it in the original English. And from the get go, it was a great experience: this is the first Harry Potter novel and as such it is an introduction to the character and to that magical world. I forgot that this first book has a more omniscient narrative style and how magical the storytelling is and how it fits perfectly the wondrous discoveries that Harry Potter goes through. I also had forgotten how young the first book skews: it’s not only in the tone and voice but also in how that introduction sometimes reads more flashy than deep. A few characters appear more as caricatures (the Dursleys? Draco?) than real people but those are few and far between although having the benefit of knowing how it all progresses certainly helps. Say what you will about J.K. Rowling but her grasp on what good, unforgettable characters are is right there from the beginning and it’s hard not to fall for Harry, Hermione, Ron, little courageous Neville, Fred and George, Hagrid and all the professors. It is equally hard not to recoil at the Dursleys’ horribleness or not to want to punch Draco Malfoy or to think Snape is Up To No Good. On the downside, the ending is so rushed, and I would have appreciated a little but more time with the puzzles because that’s just the type of reader I am. And something else I had forgotten: the unfortunate fat shaming that is peppered throughout this novel. And the Gryffindor bias is so strong it is hilarious. Snape’s teaching methods are closer to abuse – why would the teaching body at Hogwarts even allow that? Seriously. Now, even though I knew absolutely everything about this book and this world: I still cried multiple times re-reading it. When Hagrid goes “yer a wizard, Harry”; when Harry first flies a broomstick and realises there is something he is really good at? I couldn’t take it: this is a little boy who FINALLY finds a place where he belongs and more than that even, a place where people like him and take care of him. The common room was packed and noisy. Everyone was eating the food that had been sent up. Hermione, however, stood alone by the door, waiting for them. There was a very embarrassed pause. Then, none of them looking at each other, they all said “Thanks,” and hurried off to get plates. I AM SO happy we are doing this re-read. Like many readers of my generation, I grew up with Harry Potter, Hermione Granger, and Ron Weasley. I actually came to the series a little as a 15 year old, thanks to my younger sister, who was getting super into the first two books. This was right before the first film came out in theaters–and, given all of the mounting buzz for the book release of The Goblet of Fire, I decided to give the books a chance. I have never, ever looked back. With every new book in the series, it became a family-style battle royale for first dibs–in particular, I recall the family trip when The Order of the Phoenix came out and we were living in Indonesia at the time, so we had to buy/read the UK edition (which didn’t match the US editions we had already collected) and there was a resulting age-hierarchy of reading priority that prevailed (mom got the book first, then me, then my younger sis) (sorry, younger sis). This, I think, was the first real precursor to The Epic Harry Potter Re-Read. 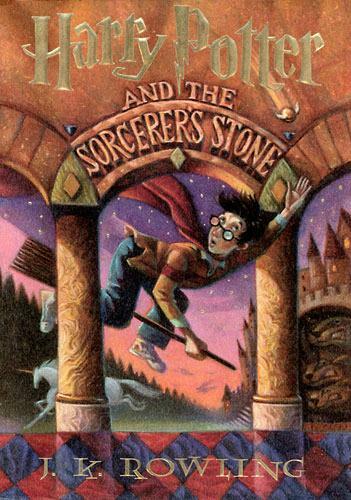 And so, Ana and I find ourselves here–the first book in the series, Harry Potter and the Sorcerer’s Stone. I confess that I haven’t gone back and re-read the first two books in the series since many, many years ago; in fact, I think I’ve only re-read The Sorcerer’s Stone once. Because Azkaban is so good and so formative and such a major watershed in terms of both the films and the books, whenever I embark on a re-read, that’s where I start. Thus, another reason I’m so glad we are doing this re-read from the very beginning because it forced me to sit down and rediscover the magic of Harry Potter through the lens of a young middle grade novel, from the very, very beginning. What struck me instantly about this go-round was, as Ana mentions, how young the book felt. And for good reason! 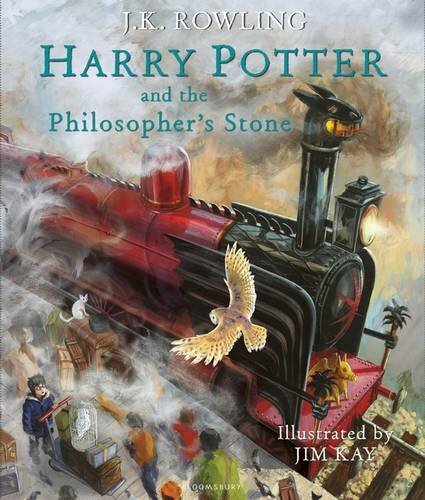 Harry is only a baby when The Sorcerer’s Stone begins, and a 10-year-old for the rest of the book–he’s a first year student at the coolest boarding school ever, and an outsider who is for the first time experiencing not only magic and mayhem, but important things like friendship and family. The other thing that immediately jumped out at me while reading was just how HORRIBLE Harry had it, growing up. I mean, we all know this, but outside of the first book and arguably The Order of the Phoenix (aka, Harry’s enormously pissed off book of Teen Angst), we don’t really grasp the full horribleness of the Dursleys and Harry’s life as a child. He’s been shut out from others. He sleeps in a spider-filled closet under the stairs. He is told, repeatedly, by a family that hates him that he is nothing and no one wants him. At best, he is ignored and treated as invisible–the first time he makes a trip to the zoo as a 10-year-old, it’s the first time he’s been to the zoo. I don’t think the impact of this horribleness quite hit me as a younger reader, but it certainly impacts me now. And… given just how deplorable the Dursleys are, and the treatment of Harry is so abominably bad, I don’t know how I feel about this logic. Dumbledore, this is a HORRIBLE childhood to foist on a baby who just lost his parents–and while I understand the sentiment, children born into incredibly fortunate circumstances can turn out to be wonderful people. I don’t know how to feel about this as a larger message–but in the context of knowing what Dumbledore knows and how Harry’s story shakes out, I can see why this particular choice was made by Dumbledore (and the cruel Ms. Rowling). Fairytales are often incredibly, gleefully cruel–this is especially the case for young Potter in this first book. Questionable Dumbledorian ethics aside–which is going to be a big recurring theme in this re-read, I predict–all of the magic and verve of The Sorcerer’s Stone completely won me over. Again. Coming into Hogwarts, dining in the Great Hall, seeing the Sorting Hat for the first time, attending classes with Harry and Ron and Hermione, watching the very first Quidditch match unfold… it’s all every bit as vibrant and engrossing as the first time. Perhaps moreso this time around, because of Jim Kay’s gorgeous art–which, I’m happy to say, deviates from the film representations of Hogwarts and characters enough to make this feel like a brand new discovery. And beyond the wonder and spectacle of witchcraft and wizardry, the core heart of this book lies with the theme of love. Love, in all of its forms–the love that Harry realizes his family had for him, the love that Harry learns to feel for his dearest friends, the love Harry has that will allow him to defeat Lord Voldemort and any lackey that stands in his way. There is loss, there is pain, there is misunderstanding (SNAPE! Poor Snape! )–but love, at the end of the day, is the recurring motif and the beating heart that drives this book. I, for one, loved every moment of this re-read. And I cannot, absolutely cannot wait, to read The Chamber of Secrets next month. Starting today, and extending through August, we will be re-reading each book in the Harry Potter series by J.K. Rowling. (We’ll also be re-watching all of the movies, but we won’t be reviewing those.) Why are we doing such a thing? Because we are nostalgic for these books that we basically grew up with; because we’ve had so much fun with re-reads over the past year, especially for Old School Wednesdays (see Percy Jackson and The Dark Tower); and most of all, because this August, we Book Smugglers are going to watch Harry Potter and the Cursed Child in London. AAAAAA!!!! I love this reread! I actually reread the series towards the end of last year, this time on audiobook, which I had never done before (Jim Dale/US version). I was one of the first kids in the Harry Potter wave; I read the first 2 when I was 12 and remember waiting for the third book to come out. I also remember this being a big deal because it was the first time the US and the U.K. had simultaneous release dates. Also, Goblet of Fire came out the day before my 15th birthday, which meant a lot to me as it meant that for ONE DAY, Harry and I were both 14. What struck me on this reread was how DARK the series is. I always knew it was dark; and I loved that it grew darker as I grew older. I also love JKR’s mysteries written as Robert Galbraith and I always thought of them as being fundamentally different from Harry Potter, but now that I’ve reread them, I’m not so sure. Rowling explores the darkest depths of humanity in both books; Harry Potter just happens to be through the whimsical lens of wizards and magic. Also, another thing that struck me rereading the series as an adult: how awesome the adult characters are, particularly the adult ladies. McGonagall is my QUEEN. I love the simplicity and the really tight plotting of the early books – Philosopher and Chamber both are pacy, mysterious reads (if not entirely self-consistent) – and I think I actually prefer them to the baggier later books. I found myself wistfully thinking that all of the books could be this kind of episodic mystery story rather than becoming more and more angsty (although, of course, that wouldn’t reflect the characters growing up very well, though). harry potter reread/read-along with the book smugglers - We are book punks.We are book punks. I just finished rereading last night and was filled with such a magical sense of nostalgia from sentence one. I also was stricken by Dumbledore’s decision to a) leave Harry with the Dursleys even though they’re wretched and b) let a ten-year-old try to deal with V. on his own? I know it’s children’s lit and letting kids handle the big bad is the name of the game, but come on Albus. COME ON. Also, I hope you don’t mind, but I jotted down some of my own thoughts on my fourth encounter with the Sorcerer’s Stone over on Book Punks.